Meijer: Under $1.50 for 48oz tub of ice cream! 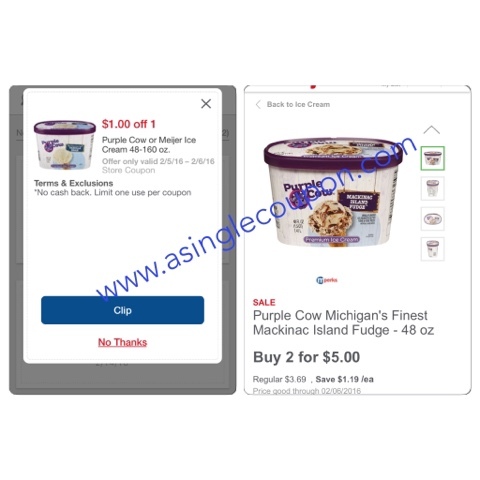 I had a $1 off purple Cow or Meijer ice cream mPerks coupon waiting for me this morning! The coupon is only valid for 2 days and they are on sale for $2.50. Plus during the 2 day sale going on you will get an extra 5% off!!! !